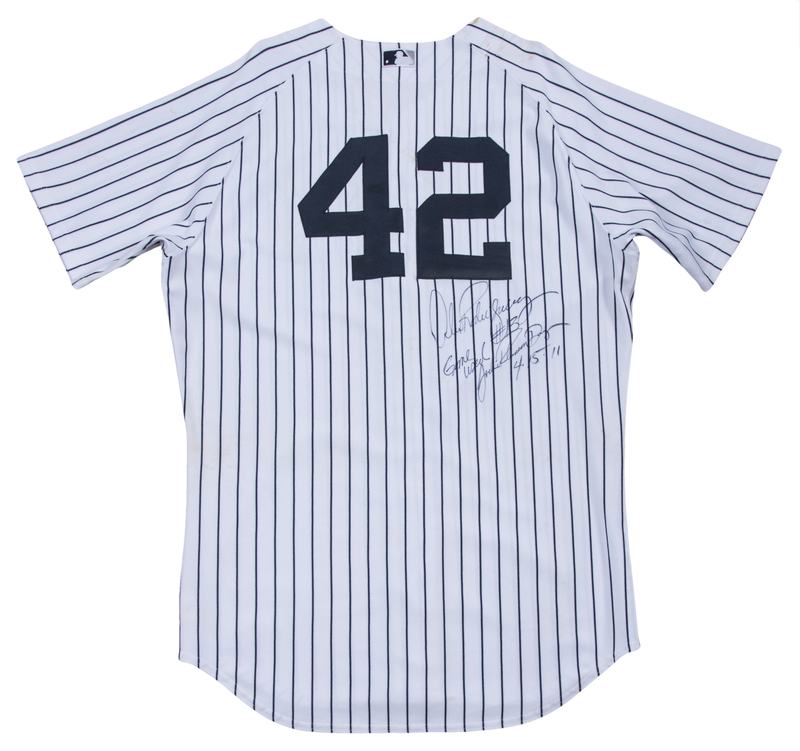 Alex Rodriguez wore this New York Yankees home jersey on April 15th, 2011 during the Yankees Jackie Robinson Day home game against the Texas Rangers. 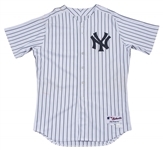 Rodriguez finished this game 1-3 with a walk as the Yankees fell 5-3 to the eventual American League pennant winners. 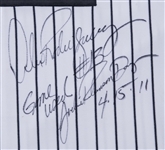 In the ninth inning of this game, Rodriguez crushed a double off Rangers closer Neftali Feliz, scoring two batters later on Eric Chavez’s RBI single. 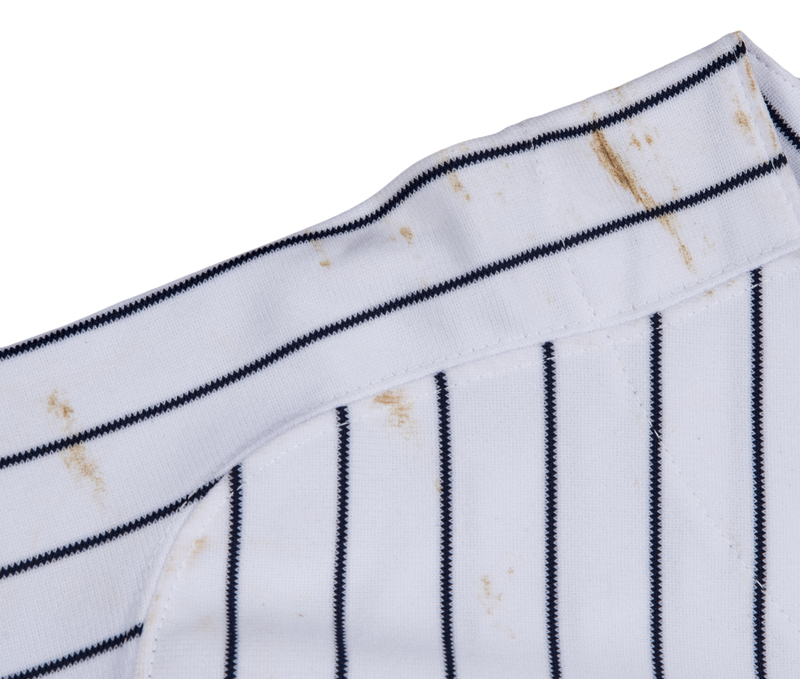 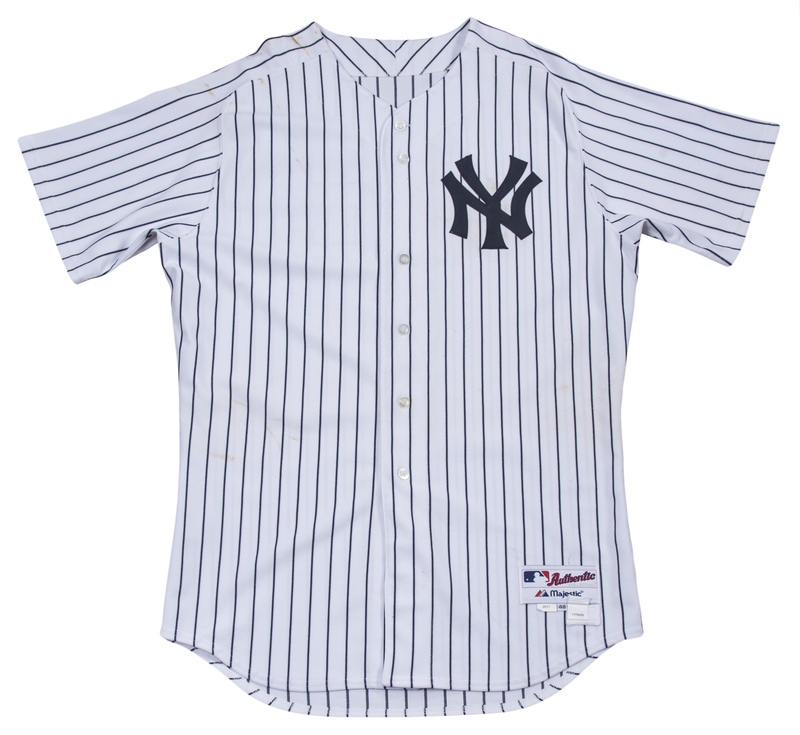 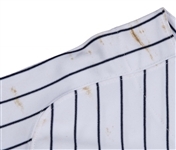 This button-down pinstriped Yankees home jersey has the interlocking “NY” logo sewn on the left chest in navy tackle twill. 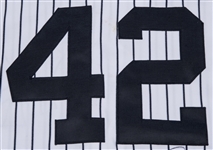 Jackie Robinson’s number “42” is sewn on the back of the jersey in navy tackle twill as MLB commemorated the 64th Anniversary of Robinson breaking baseball’s color barrier. 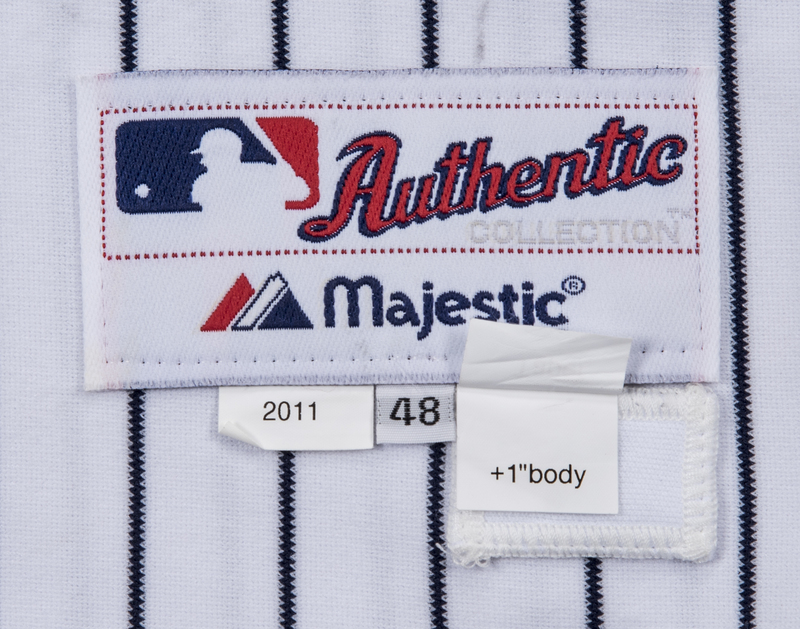 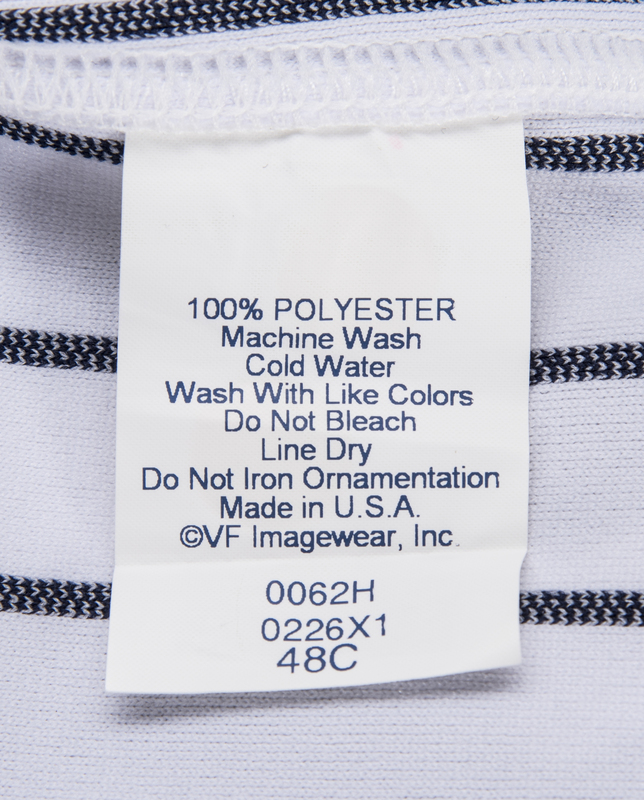 Majestic and “13” tags are sewn on the front left tail, with “2011”, size “48”, “Taper”, and “+1[inch] Body” flags attached to the Majestic tag. 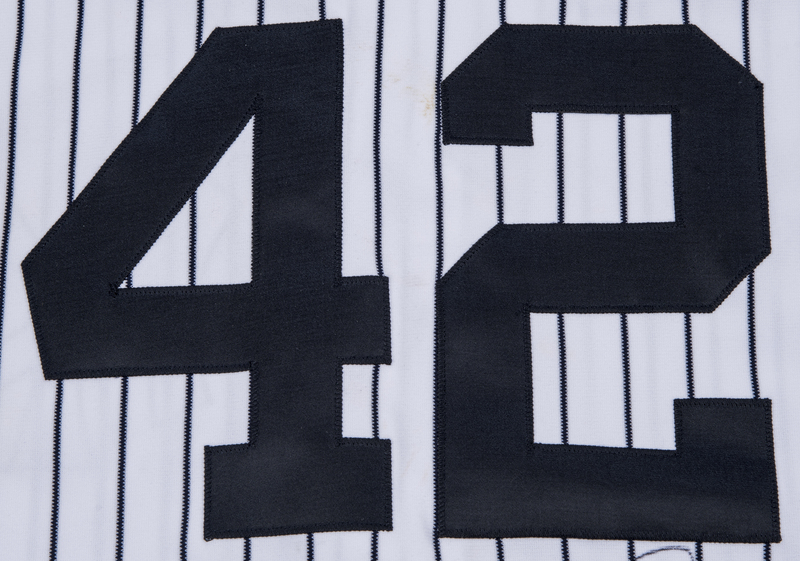 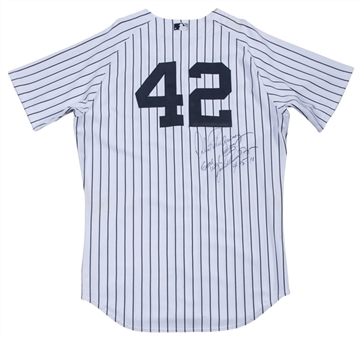 Rodriguez has signed the back of the jersey in black marker, inscribing “#13” and “Game Used Jackie Robinson Day 4-15-11” in addition to his signature. 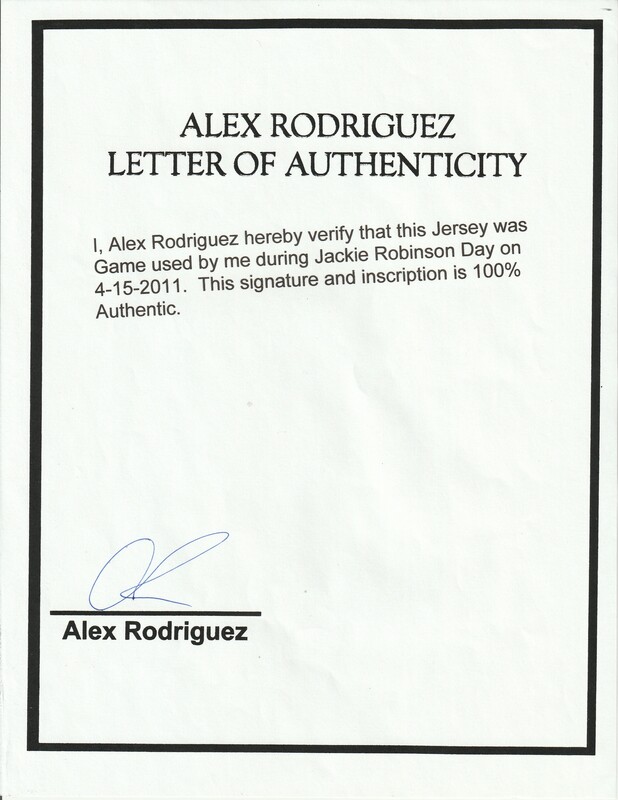 This jersey comes with a LOA signed by Rodriguez himself.